On occasion, the things you enjoy most, you forget to share with your friends. 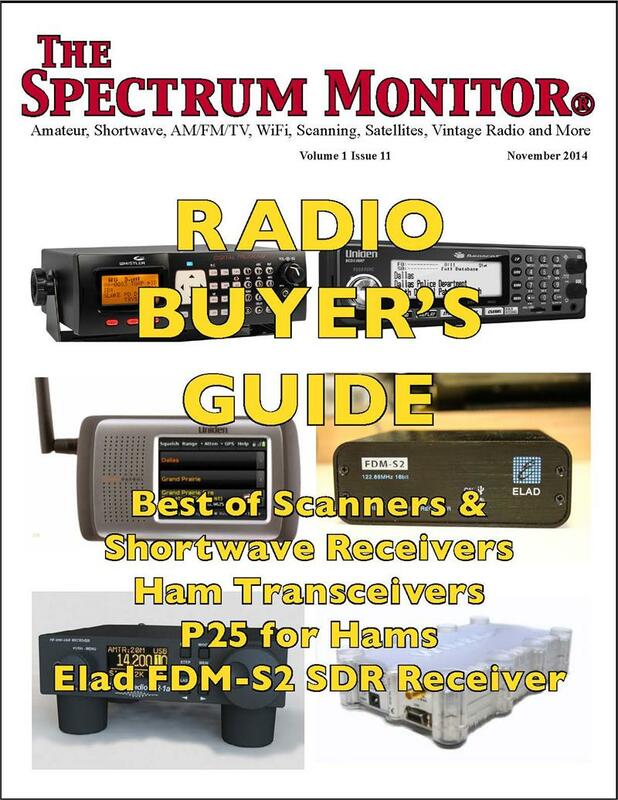 Not sure why this happens, but this is certainly the case with the Spectrum Monitor magazine (TSM). I’m long overdue to properly pitch TSM to my readers, which I feel is an absolute bargain at just $24 per year. Why? Many of you may recall that it was only July of last year when we learned about the closure of The Monitoring Times magazine. I had always loved the magazine–not only were the management and editors a great group, but the magazine content was some of the best in the communications business when I began writing features and reviews for MT. But the owners of MT, Bob and Judy Grove, were ready to retire; ultimately, they decided to close their magazine down rather than sell it off. Shortly after the announcement, MT‘s managing editor, Ken Reitz (KS4ZR), decided to make a go of a new publication. 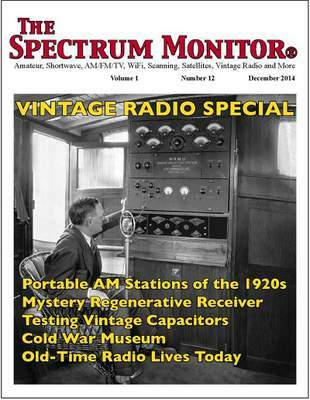 Albeit wholly digital, this magazine was to cover the same scope and content depth as MT, and would be known as The Spectrum Monitor (TSM). In January of this year, TSM launched, and like many SWLing Post readers, I was eager to see if the content met the benchmark MT had set for so many years. I needn’t have worried. Ken had corralled many excellent contributors, in many cases drawing upon previous writers for MT. And in the past year, I don’t believe it’s a stretch to say that in many respects, TSM not only met that benchmark, but has actually even exceeded it. TSM is now–unquestionably–a good, solid, thoroughly enjoyable publication. 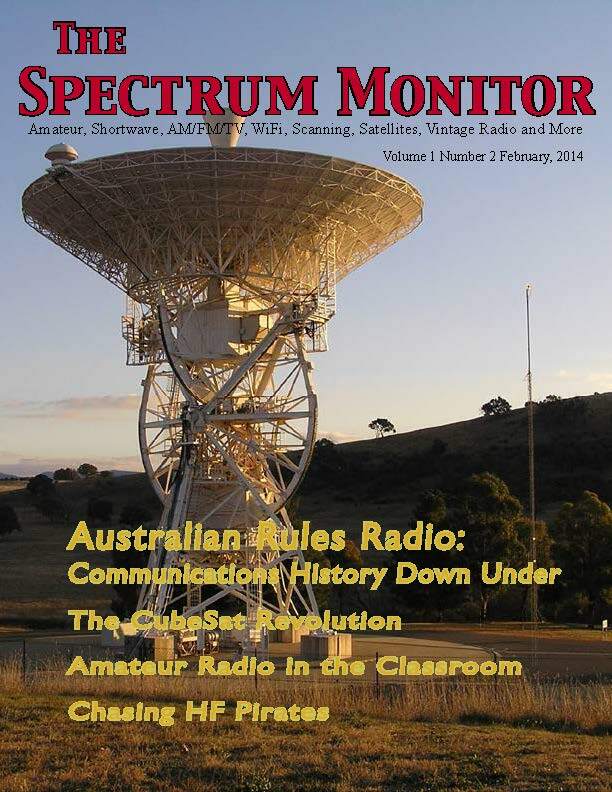 Each issue is packed with topics covering the radio spectrum: shortwave, ham radio, vintage radio, pirate radio, scanning, public service, satellite, AM/medium wave and host of digital/mobile technologies, as well. Really, everything a listener could hope for. Initially, I had my doubts. I frankly wasn’t sure whether I’d like reading a “digital-only” radio publication, or whether other readers would. I confess to being a bit “old school;” as a radio listener, I like to hold a radio in my hands, to physically tune it; as a reader, I prefer holding a printed publication in hand, to turn the (paper) pages…How would I feel with an e-reader or laptop, instead? Would reading that way feel like work? But TSM soon swayed me toward the digital as both reader and as a columnist. As a writer, there was less stress on word count. If it was a bit short, or lengthy– as my October column was–I soon found it mattered less. In a digital publication, page count is comparatively irrelevant as long as content is worthwhile and captivating for the reader. And as a reader, I appreciated that the columnists that I was reading would have the freedom to write at length, too. Secondly, a digital publication gave its writers an opportunity to infuse columns with a multi-media element–something I’d become accustomed to as a blogger here on the SWLing Post. When I published a review of a radio, I could include actual audio clips in the article. If I wrote about pirate radio, for example, I could embed actual pirate radio recordings. Brilliant! And, again, more fun for the reader. Also, including links or references to external websites is a cinch in a digital format, and quite easy for the reader to check out. Instead of copying a long gangly URL from a printed page, you simply click on a link as you would on a website, such as on this one. Second nature, really. So, I soon learned to relax with the e-reader just as I had with the printed Monitoring Times. No pages to turn, but then again, not so different from reading…well, a blog like this. I’ve received excellent feedback from TSM readers, too, many of whom admitted their initial bias against a “digital” magazine had since been withdrawn completely. I continue to enjoy reading TSM every month. And although–due to time constraints–I’m no longer TSM‘s primary shortwave radio columnist, I still enjoy writing for TSM when time permits, so you will see my reviews and features pop up in TSM now and again. But why take my word for it? Check it out for yourself–it’s one of the best magazines for the radio enthusiast, digital or print…And at only $24 annual cost, it’s a terrific and affordable last minute Christmas gift for a friend, family member, or–let’s be honest–for yourself. Afraid to commit to a one year subscription? Individual issues of TSM are available online for $3 each. If you like what you’re reading (you will), you can then purchase a one year subscription, and the cost of your issue will be refunded. If you’re lucky enough to receive a subscription to TSM in your stocking, I can assure you that you’re in for a real treat. Happy reading! This entry was posted in AM, Art, Digital Modes, Ham Radio, International Broadcasting, Longwave, News, Shortwave Radio and tagged Ken Reitz KS4ZR, Monitoring Times, The Spectrum Monitor on December 23, 2014 by Thomas.